The days are getting hotter now, today was 29C and we have been having 32C days last week which means summer proper (hot and sticky) is not far away. 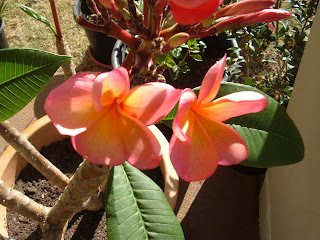 The increasing temperatures has had an effect in the garden with the tropical plants and flowers really starting to come out of their winter sleep. 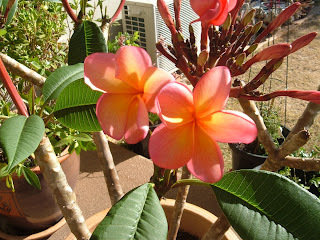 Our favourite is the frangipini tree, the one we have has pink fragrant flowers. 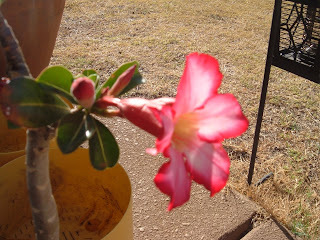 This one is called the "desert rose".